The incident happened at around 3pm on Sunday afternoon near to Dudmaston Hall. Shropshire Fire and Rescue Service says the vehicle came to rest in a precarious position on a grass bank. Fire crews used Holmatro cutting equipment to release two casualties before they were taken to hospital by land ambulance. 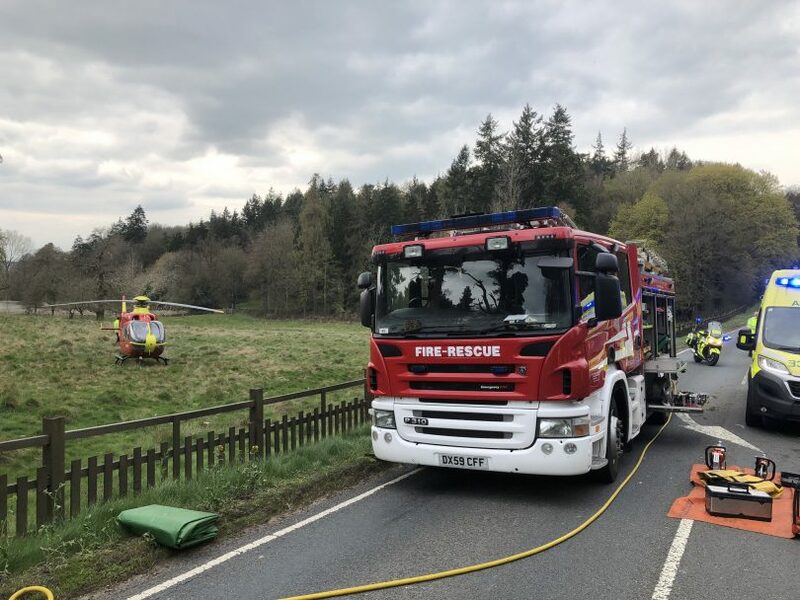 Four fire appliances including the incident support unit and the rescue tender were mobilised from Bridgnorth, Much Wenlock and Wellington. An operations officer was also in attendance. West Midlands Ambulance Service, Midlands Air Ambulance and West Mercia Police were also at the scene of the collision. The road was closed whilst emergency services worked at the scene. Bridgnorth to Kidderminster road closed A442 from the Island at the bottom of Bridgnorth bypass towards Kidderminster . Road traffic collision by Dudmaston Pools/Lakes before National trust property Dudmaston hall . Please take an alternative route. Postcode for area WV156QN.